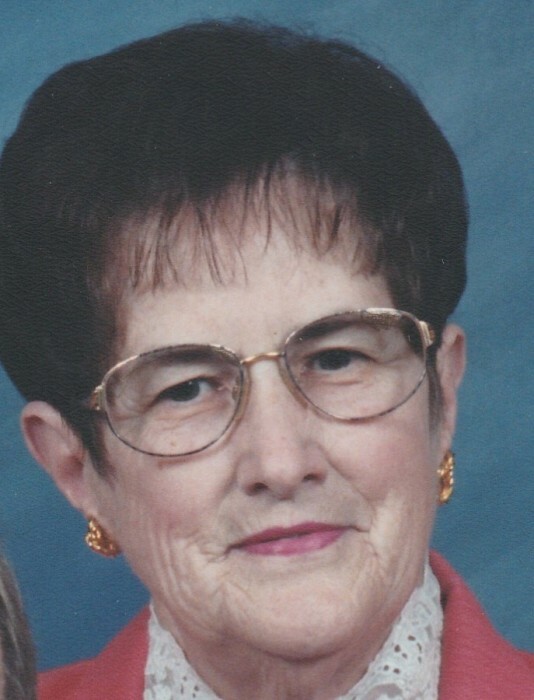 Edith “Jean” McCahan, 84, of Martinsburg, formerly of Everett, passed away at 9:32 AM, Monday, April 1, 2019 at Homewood in Martinsburg. Mrs. McCahan was born in Defiance on April 30, 1934, daughter of the late James L. and Edythe H. (Manley) Tenley. On May 1, 1954, she married Stephen G. McCahan in Saxton, PA. He preceded her in death on March 21, 2014. She is survived by son Matthew married to Carla (Woy) McCahan, Breezewood, PA; daughter in law Susan (Hood) McCahan, Everett, PA; sister-in-law Betty (Masood) Tenley, Martinsburg, PA; five grandchildren; Steve husband of Ashley (Barkman), Karen (McCahan) Henry, Kevin married to Sara (Clark), Christopher married to Morgan (Barkman) and Madison McCahan, great grandchildren, Ella, Lydia, Isaiah, Grace, Eliza, Tenley, Adalyn and Vivian and numerous nieces and nephews. She was preceded in death by son Stephen J. McCahan, and brothers Glen C. Tenley and James Lee Tenley, Jr.
Jean was a 1952 graduate of Saxton Liberty High School. She was a member of the Everett United Methodist Church and the Saxton Chapter No. 161 Order of the Eastern Star. Jean served on the Everett Area School Board for eighteen years and was instrumental in the startup of the Everett Campus of Allegheny College of Maryland. She was also involved in the creation of the Everett School District Renaissance Foundation, dozens of elementary and high school musicals, plays, graduation ceremonies, and other school related activities. Jean loved sports and spent over twenty years as scorekeeper for the EAHS varsity baseball team. She was a Penn State football fan and season ticket holder for over forty years. Jean was a loving wife, mother and grandmother, a wonderful sister, a loyal friend and a devoted member of the community. She will be greatly missed. A Memorial Service will be held at Akers Funeral Home, Inc., 299 Raystown Road, Everett, PA on Friday, April 12, 2019 at 11:00 A.M. with Pastor Debi Decker officiating. Friends are invited to call on Thursday, April 11, 2019 from 4:00 - 8:00 PM and on Friday from 10:00 A.M. until the hour at the funeral home. Burial will be held Privately at Everett Cemetery. Memorial Contributions may be made in memory of Jean to the Everett United Methodist Church, 221 E Main St, Everett, PA 15537 or to the Everett School District Renaissance Foundation, 1 Renaissance Circle, Everett, PA 15537.